I am constantly amazed by people's creativity. Constantly. In the world and specifically in the wedding industry. 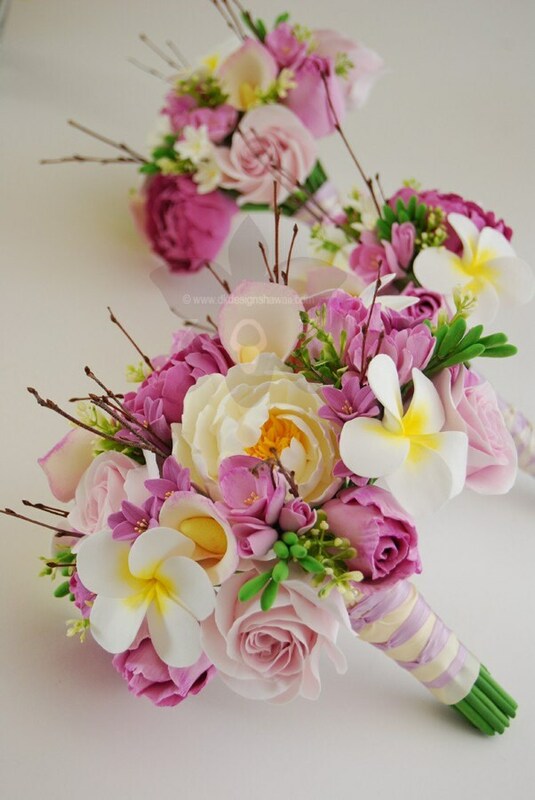 I posted about paper flowers in July and recently I have seen more and more fabulous floral options. Here are 4 of my favorite new ideas. Enjoy! 2. Fake Floral Runners. Real petals are rarely allowed at ceremony or receptions sites because when you step on them they become very slippery and are therefore a hazard. Yep, next to open flames, real flower petals is the next big item that most venues have firm policies against. Still want that romantic runner down your aisle? Enter these AMAZING fake flower runners seen in this post. Ready, set, gorgeous runner! 3. DIY (do-it-yourself) Flowers. As seen in this post by inspiration powerhouse blog, Green Wedding Shoes. There are actually a lot of DIY flower posts online, it just takes some research to find the designs that appeal most to you. Each post will have step by step instructions so it takes the stress out of the creative part. If you do choose to DIY for your florals, have some fun with it. Invite over your bridesmaids and make it a fun, crafty girls night in! 4. Brooch Bouquets. And last but NOT least, my personal favorite, bouquets made of brooches! This is such a fabulous idea that is really gaining in popularity because it 1) lasts forever 2) can be made entirely of family heirlooms or cheap brooches (cost effective!!) 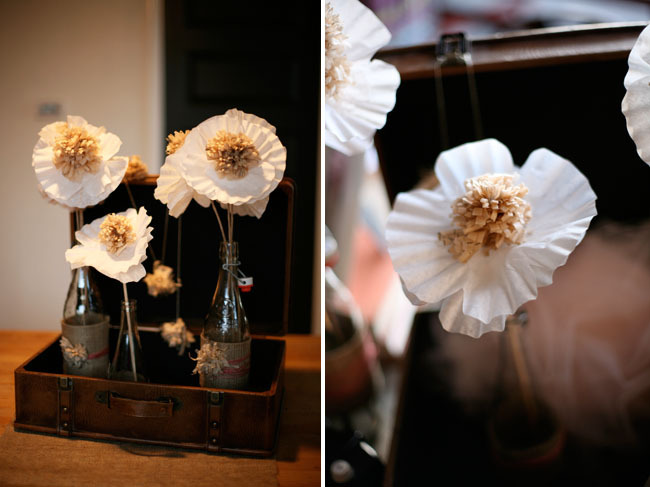 and 3) using family heirlooms connects an extremely personal touch to such an important detail of your big day. I hope these suggestions have inspired you. Enjoy! 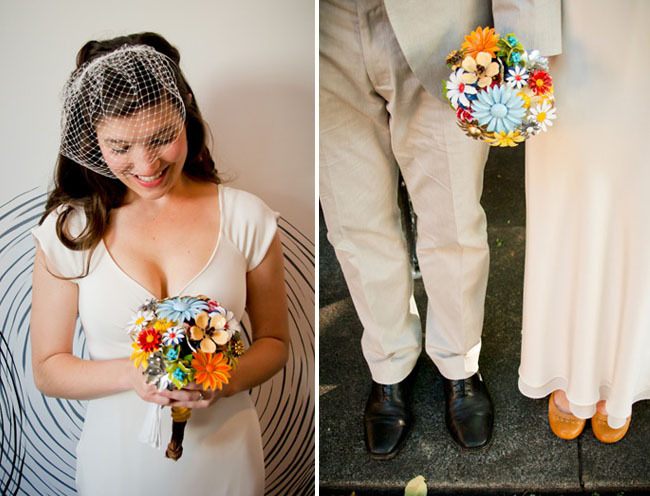 Love the floral broach bouquets! 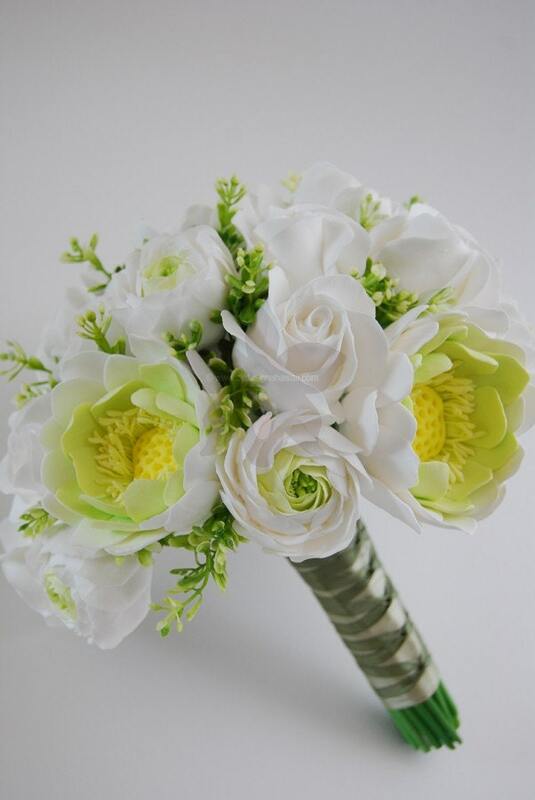 You can also always opt for a great GREEN option-locally grown cut flowers. Check out www.locoflo.com for more info.